Draw the human form through observing a life model. Create drawings in quick succession through short poses and more detailed drawings or paintings. Learn to use a range of art materials such as chalks, charcoal and inks, and develop your techniques as a figurative artist. Gain confidence representing the human form through observing a life model. As the course progresses, you will develop your technique as a figurative artist. Create drawings in quick succession of the model striking short poses, which will develop your mark making and act as a warm up. This will lead to capturing the model in longer poses, where you can concentrate on character, detail, definition and form. By focusing on the composition in each artwork, your attention will be drawn to the positive and negative space around the body. You will develop your knowledge of perspective and learn how to draw in proportion and foreshorten. Experiment with a range of drawing materials including pencil, charcoal, pastels and inks on paper and card. You will also have the opportunity create paintings, mono-prints and mixed media collages, on paper, board and canvas. 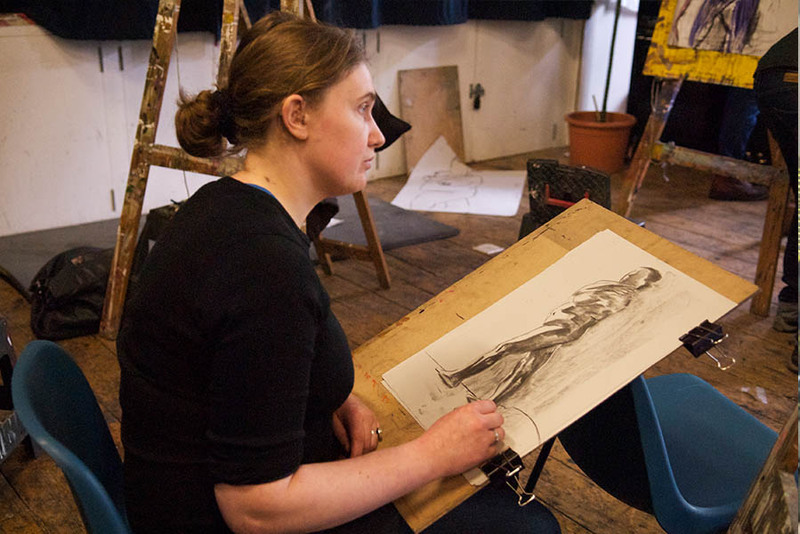 Understand the value of life drawing practice and its context in the history of Fine Art. Learn about anatomy of the human form by studying renowned life drawings by artists from Da Vinci and Michaelangelo to Gormley and Freud. Develop your visual art language to critique work and within the group and share your experience of life drawing challenges. Develop your confidence in responding to each other’s artwork with personal insight and feedback.